Kudos to this enterprising squirrel who has found a way to climb up the side of Audubon House, then dangle himself down to drop onto the bird feeder that had been placed in what had been hoped was a squirrel-proof location. His maneuverings can be watched closeup through the heavily-tinted windows, even allowing for closeups as he eats his sunflower reward. 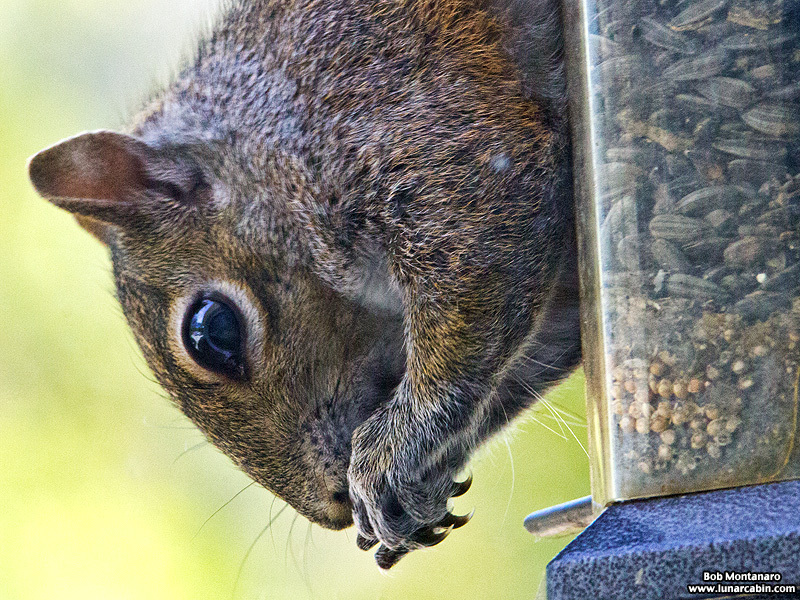 Note the large round Audubon House window reflected in the squirrel’s eye. Also note the sharp claws, which must be helpful in all his climbings.